World No. 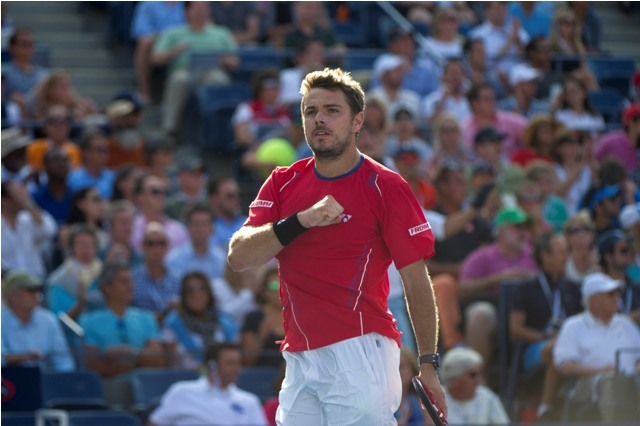 9 Stanislas Wawrinka (Player Profile) and American No. 2 Sam Querry (Player Profile) will meet in the second round of the ATP Beijing tournament tomorrow afternoon. This will mark the fourth encounter between the two competitors, with Wawrinka leading 3-0. 2013 has been an important year for Wawrinka. The Swiss No. 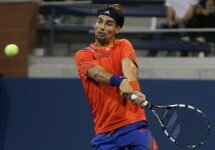 2’s begun an association with coach Magnus Norman and had his best performance of the year at the US Open where he defeated Tomas Berdych, Radek Stepanek and defending champion Andy Murray to reach his first ever Grand Slam semifinal. While he lost World No. 1 Novak Djokovic in an epic 5-set thriller, he became only the third Swiss player ever to reach a Grand Slam semifinal. He holds seven wins over top 10 players this year – a sign that his confidence is rising along with his self-belief. Wawrinka advanced to the second round of the China Open yesterday with a 4-6, 6-3, 6-4 win over Andreas Seppi to bring his hard court record to 17-8 this season. His second round match-up with Querry is their first since the 2013 Australian Open , where he defeated the American in straight sets to reach the fourth round. World No. 30 Sam Querry is coming off a quarterfinal loss to Gilles Simon at Metz last month. Prior to that, he had a successful pre-US Open season, reaching the semifinal of the Winston-Salem tournament prior to a disappointing second round exit in the US Open. He has compiled a 22-13 record on hard court and has proven to be a durable opponent on that particular surface when healthy. He will be looking to match his surpass his quarterfinal finish at Beijing last year starting with his first win over Wawrinka. The American does possess the ability to defeat the Swiss, particularly with Wawrinka’s considerably poor showing in Malaysia last week. Yet considering Wawrinka’s continuous improvements in his overall game, he will be cetainly be a difficult challenge for Querrey.